Joseph Fennimore Interview with Bruce Duffie . . . . . . . .
Joseph Fennimore (born 16 April 1940) is an American composer, pianist and teacher best known for his works for piano and chamber ensembles, ranked by Pulitzer Prize-winning critic Philip Kennicott as “one of this country’s finest composers.” His music has been performed and broadcast worldwide and included in the Metropolitan Opera Studio and New York City Ballet repertories. 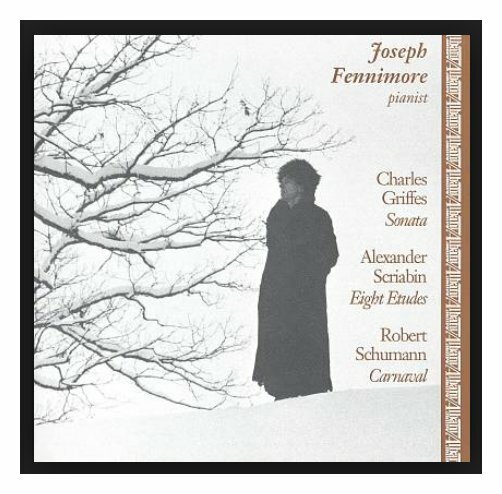 Fennimore was born in Manhattan and began formal music studies in upstate New York at the Schenectady Conservatory of Music, his principal teacher being its founder and director, Joseph G. Derrick, graduate of the New England Conservatory in the piano class of Ethel Newcomb, Theodor Leschetizky’s first American assistant. In his twelfth year Fennimore was chosen to perform a piano concerto with the Schenectady Symphony Orchestra at that city’s historic Proctor’s Theater. The first Fennimore compositions to be performed publicly were choral works presented in 1957 by the Scotia-Glenville Choralaires, under Carl M. Steubing, which annually toured the northeast. 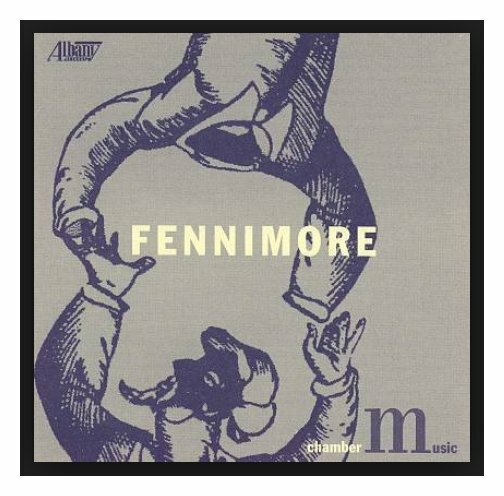 Fennimore was one of eight high school juniors to participate in the Eastman School of Music’s experimental accelerated program in Rochester, New York, during which the first year of his baccalaureate was completed over the summer months before and after his senior year in high school. The first summer he studied piano with guest teacher Eugene List; the second summer he studied with Eastman piano chair Cecile Genhart, who would become one of his chief musical influences. 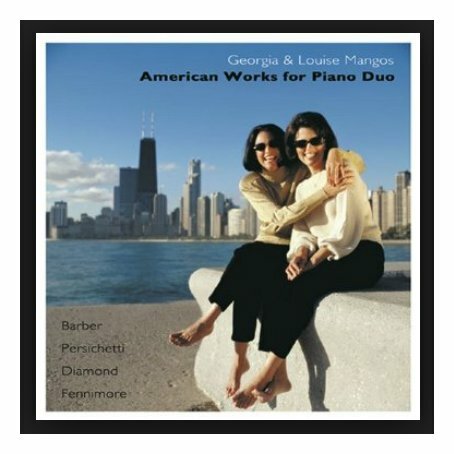 It was in the fall of 1958 that Fennimore met fellow Eastman freshman, the pianist Gordon Hibberd, who has been his life partner ever since. 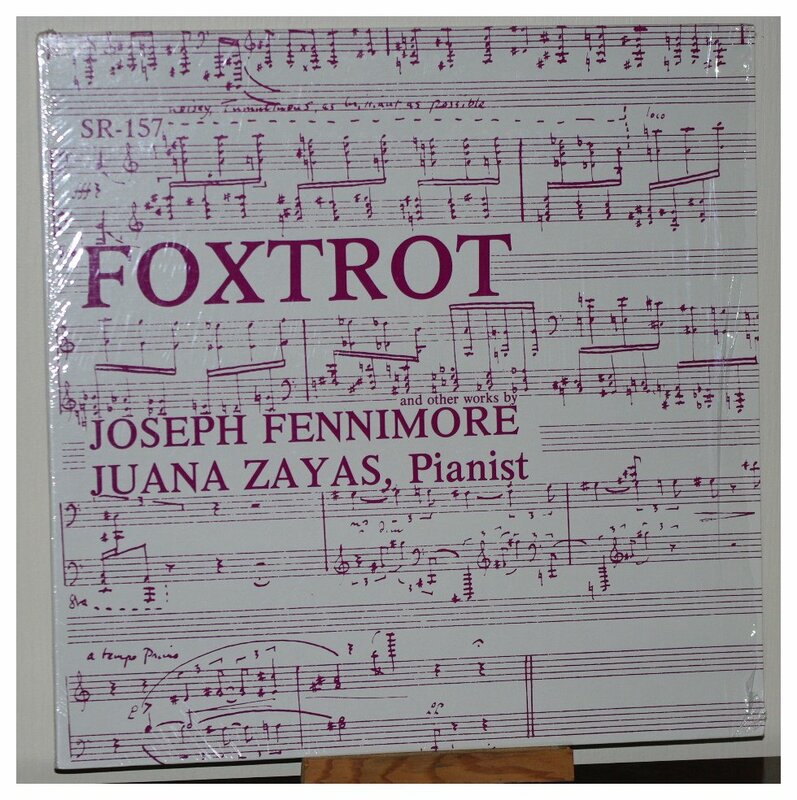 Genhart arranged summer piano studies for Fennimore with retired Eastman faculty member Sandor Vas; Vas enlisted Hildegarde Lasell Watson to become Fennimore’s patron; in 1962 she arranged Fennimore’s visit to and audition for composer and critic Virgil Thomson, who urged him to move to New York City. Upon graduating from Eastman that year with a B.M. 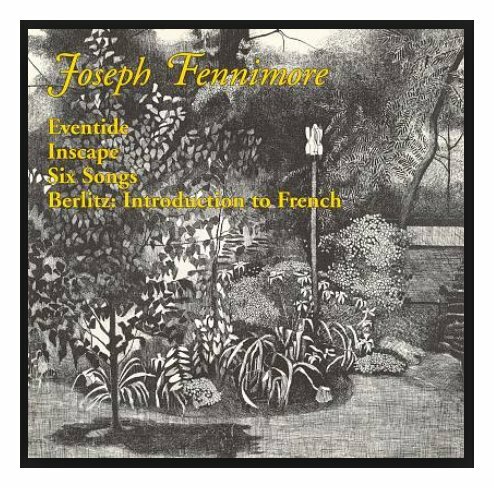 degree with distinction and a performer’s certificate, Fennimore entered the Juilliard School of Music in Manhattan that autumn as a student of Rosina Lhévinne, receiving an M.S. degree from Juilliard in 1965 with the Loeb and Van Cliburn Alumnae Awards. 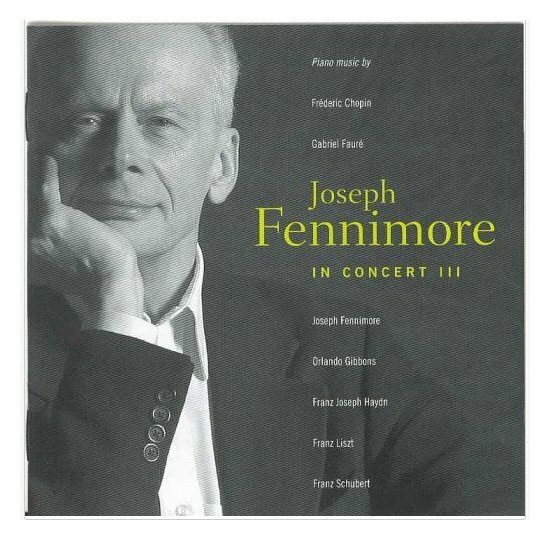 Fennimore, an ASCAP composer, at first interspersed composing with other musical activities ranging from performing as concert and recital soloist (encouraged by Bedford Pace III, director of public relations in North America for the British Tourist Authority) in America, Japan and Europe, to assistant conducting on Broadway for music director and arranger Buster Davis, writing music criticism pseudonymously and co-founding, with Gordon Hibberd, and directing (1972–76) the Hear America First concert series that was broadcast nationally on National Public Radio. He also taught piano at Princeton University as well as piano, piano literature and music literature at the College of St. Rose in Albany, New York. 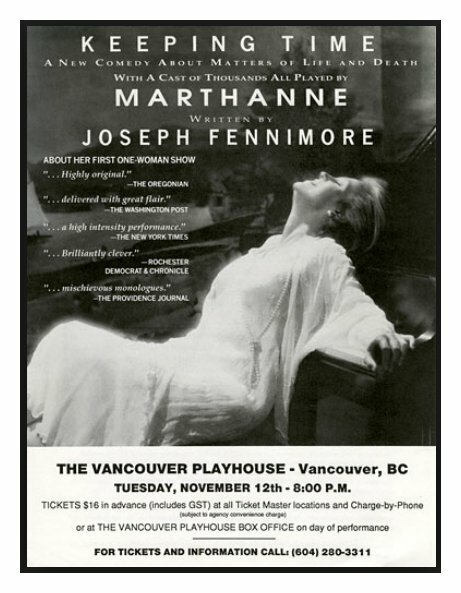 Since the early 1970s he has devoted his energies more exclusively to his compositional efforts, new works introduced and often performed by mezzo-soprano Joyce Castle, cellist Ted Hoyle, harpsichordist Elaine Comparone and pianists Larry Graham, Dennis Helmrich, Jeffrey Middleton, Dan Teitler, Marthanne Verbit, and Juana Zayas. 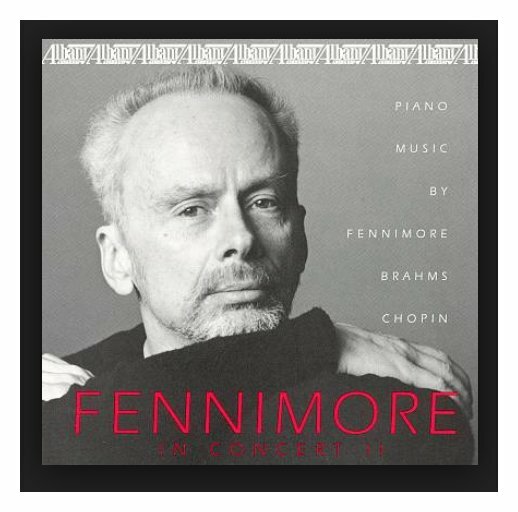 Fennimore was at the Ravinia Festival for the July 4th concert in 1986, and it was then that we had the chance to get together for a conversation. We began with some general ideas, and then got around to the specifics of this very special event . . . . . . . . .
Bruce Duffie: You are both pianist and composer? 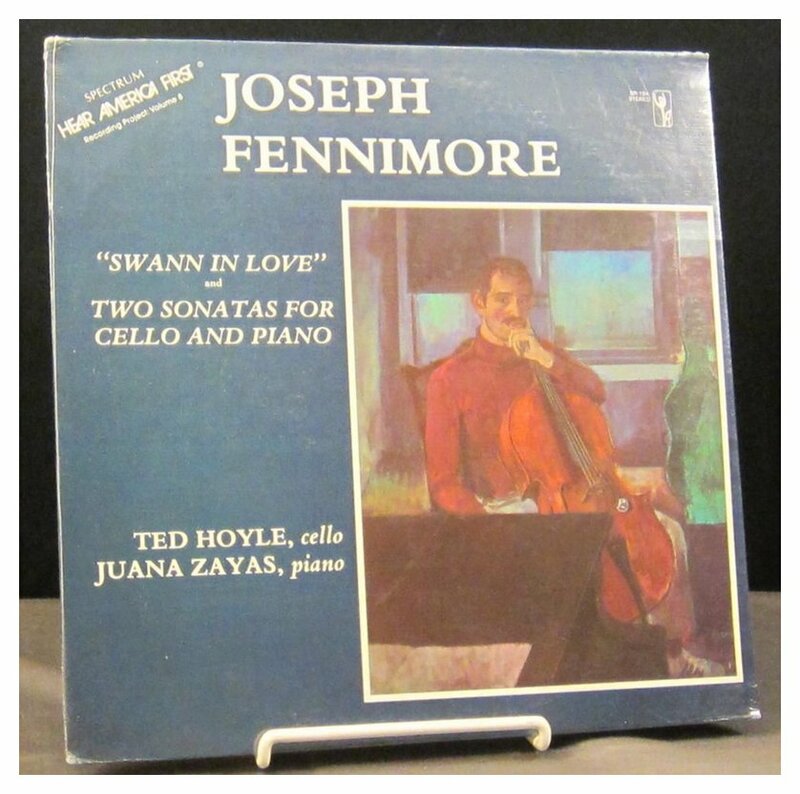 Joseph Fennimore: No, not pianist so much anymore. BD: How do you balance the pianistic talents and the composing talents now that you’re leaning more to composition? JF: I teach piano, and enjoy doing so. I enjoy the students. My youngest is six, and my eldest is seventy-six this year. So I have a wide age span, and that in itself is interesting. BD: Do you also teach composition? JF: I have had some composition students, but I don’t have any now, and I haven’t had many. BD: Is musical composition something that really can be taught, or must come from within? JF: Obviously the impulse to persist and perfect must come from within, but I think anyone can be taught to put notes on paper. How well he decides to do so and how well he judges the results, and what he gets is, of course, is a more innate matter. It is better to teach somebody to be a musician, and if the person has the urge to compose, he or she will do so. BD: What do you expect of the audience that comes to hear your music? JF: What do I expect, or what do I hope for? JF: Let’s see! Expect? An open mind; a fair hearing. Hope for? That they enjoy it! That they find something they understand, find some aspect of my experience that is meaningful to them. The matter of communication in music is the discovery of unfamiliar in the familiar. That is as close to a definition that I can get. BD: For whom do you write? Do you write for a public? Do you write for yourself? Do you write for the musicians? JF: Such a good question, and such a hard one. I suppose I have to say egotistically I write first for myself, and yet at the same I feel I have an obligation to the performers, and certainly I have an obligation to an audience too. It is a three-way street and all must be satisfied. If one element is missing, the work may well be suspect. BD: Your main emphasis has been the piano. Do you write music only for piano, or also for other groups, orchestras and voice, etc.? JF: I’ve written a lot of piano music, but I stopped playing the piano in... let’s see... I think my last public performance was in 1972 or 73 or something like that. BD: Was this a conscious decision to stop playing? JF: Yes, it was. I couldn’t do both. I have been writing music since I was a kid, and I had been led by my teachers to believe that trying to earn a living writing music was utterly preposterous. Being a pianist was ridiculous enough, but I was encouraged to play the piano. Most piano teachers, even the great ones, unfortunately think we have enough music, and we don’t need anymore. BD: [With a gentle nudge] I take it that you are not of that opinion? JF: No, I’m not of that opinion, not at all! We, at this time, live with an embarrassment of riches, and if we survive, may that embarrassment grow! JF: By what standard? Who is to say? I read somewhere the alarming, or to me amazing statistic that there are 40,000 composers in this country alone! What makes somebody a composer? I suppose it’s just putting notes on paper. There’s probably far more than 40,000! BD: I would assume that getting published would make one a real composer, rather than just a hobbyist. JF: I know lots of people who have published that I don’t consider to be real composers! [Both laugh] I don’t know if that’s true or not. BD: What makes a real composer? What makes a composer stand out? JF: That reminds me of a conversation I had once with one of my teachers, who was an authority on American music. We were trying to hash out what an American composer is, and the best that we could come up with was that you were living in America and writing music! Whether or not you had citizenship was not an issue, so a composer is someone who composes. I think that’s as far as I can go. BD: Who judges whether the music is worth it — is it the composer, the public, the critics, the historians...? JF: The composer presumes to have to learn it and play it, and presumes further to have someone to hear it. All those people are involved, but as far as judging its merit, each individual has to do that for himself. Of course, there is the ‘fame machine’ as I call it, that bestows halos and enshrines people in monuments for posterity to worship and bow. These people come and go. It’s a matter of fashion. Sometimes it’s longer, maybe lasting a hundred or two hundred years, and you may go out of fashion and come back in again, and have the millennium. Who knows! BD: Is the public right in its decisions? JF: The public is always right. The public is never right! [Both have a huge laugh] If I sound paradoxical, I’m afraid it’s the way I think. BD: Is your music paradoxical? JF: Probably, indeed it is! At least I hope it’s multi-referential. It’s often music about music, and about lots of other things too, I hope. I like paradox. That’s another basis of music ambiguity. The composer, if he does something well, sets you up to expect something, and how he satisfies or frustrates you will determine the pleasure you have from it. BD: Do you expect your music to give pleasure? JF: I want my music to give pleasure, but I don’t know if I expect it to give pleasure. That would be immodest, perhaps. I hope it gives pleasure, although as I always tell my students that hope’s the province of fools! BD: Let’s talk about your piano music. You’ve written original piano music, and you’ve also reconstructed a Tchaikovsky concerto. JF: That’s right. It’s the Tchaikovsky that is to be performed here at Ravinia on the 4th of July, along with one of my solo piano pieces. BD: How did you come to reconstruct it? Did you get some notes, or where did all this come from? JF: Well, if you call that a gimmick! In about 1958 I first heard the G Major Piano Concerto of Tchaikovsky, and was very drawn to the second movement. The last movement is a rondo, which was terrific, but the first movement I found severely flawed, embarrassingly so for somebody who was extremely fond of Tchaikovsky, as I am. I can’t pretend that everything he did was as good as his best, and I don’t know where I had the nerve to do this, but I decided I would reconstruct the piece. That was fine, and I finished it in 1963 or 64. But then when I tried to get a conductor interested, or even show some of my teachers at Juilliard, I was met with a reaction of, “How dare you tamper with the work of the master?? ?” So right then I put it on the shelf, and thought about it from time to time. I did show it to a pianist who was playing the Siloti version, which is the one everyone knows, and again no interest! But then I happened to mention it to Jimmy Levine, and he said, “Let’s hear it!” So in 1978 he did hear it and he said, “Let’s do it!” Well, I was delighted. BD: What prompted him to say, “Let’s do it!”? JF: I think he must have liked it! He went so far as to say that he thought it had a chance of giving the Bb Minor Concerto a run for its money, and he thought that the repertory could stand another Tchaikovsky concerto. So, here we are in 1986, and you’ll be hearing it on the 4th of July! JF: That was the original slated date, and for a variety of scheduling reasons it had to be put off until this summer. BD: A Tchaikovsky premiere postponed again! BD: Is it real Tchaikovsky? Is it real Fennimore? What is it? JF: My aim was that if someone who knew Tchaikovsky’s music but had never heard this concerto were to hear it, he would not be aware that it was other than Tchaikovsky’s. So I did my best to completely submerge my personality in the service of trying to improve a work by Tchaikovsky. BD: What was the matter with it as it stood? JF: Let me give you some historical background. Tchaikovsky, as you know, wrote the First Concerto for Nicholai Rubinstein. Everybody knows the story of Rubinstein’s coruscating reaction, and Tchaikovsky’s anger and his saying he would not change a note. Well, Hans von Bülow gave the première and played it around to considerable success. Then he stopped playing it, and Tchaikovsky did revise it. Just how many of Rubinstein’s suggestions he incorporated I don’t know. Malcolm Frager plays the original version, and it doesn’t seem to have met with much success. So I wouldn’t be surprised that the version we know is an improvement. Nicholai Rubinstein and Tchaikovsky had a love-hate relationship. That is to say, Nicholai Rubinstein loved Tchaikovsky, and they say you can never forgive a man for the favors he deals you. Rubinstein had done for Tchaikovsky innumerable services and favors, from promoting his career and giving him employment to getting him out of his impossible marriage. So he never stopped begging Tchaikovsky for this concerto for himself to play, and Tchaikovsky finally decided to give it to him. BD: But it was a complete piece? JF: It was a complete piece, and at that time it was close to thirty minutes in length. When it was finally premièred in Moscow, the same critics that attacked the Bb Minor praised the G Major highly. Bernard Shaw heard it and attacked it, and a man named Brown, who was doing a rather excellent series of biographical books on Tchaikovsky, described it as ‘irredeemably flawed’. The first movement has three enormous cadenzas. The third one is the best, the other two are embarrassing. Tchaikovsky’s worst piano music — perhaps the Sonata in G Major would qualify — suffers from the same kind of flaws, and I wouldn’t be surprised, not knowing the piece, if it shares some of the same material. It has an excess of sequential material and bombast. There’s one point in the original of the G Major Concerto that Tchaikovsky has the pianist repeat the same chord sixteen times in a row fortississimo! I think it was anger at Nicholai Rubinstein! [Laughs] In any case, after the première of this piece, Madam von Meck had withdrawn Tchaikovsky’s annuity, and he was no longer teaching at the Conservatory, so he had to earn a living. I don’t think he had time to go back and make the revisions that he perhaps might have made — the kind of revisions he did do on the Bb Minor. So he left it. Siloti, who was Rachmaninov’s cousin, suggested to Tchaikovsky two cuts — one in the first movement, which he removed twenty measures in the development section of orchestral interlude, and a huge cut in the second movement. Tchaikovsky had a big ABA, and Siloti came along and removed the B. So it wound up being a through-composed A section which never modulated. While the tunes that attracted me to work are beautiful, the movement does not work as a whole. So what I did was to reinstate the B section, and used my own composition based on material that Tchaikovsky had used. BD: Not based on material that was cut? JF: Partially, but not entirely. So what we had was the same form that Tchaikovsky had in mind. In the first movement I eliminated two of those cadenzas, and abbreviated many repetitions. For example, in the opening Tchaikovsky has the orchestra play the opening motto and has the piano do the same thing. Then the orchestra comes in and does something, and then the piano does exactly the same thing. Then they wander off into a series of exploratory sequential repetitions that are redundant, that go nowhere, often times repeating the same four measures with no modulation and no direction. Those I eliminated. What I was aiming for was to make a long line for the piece, so that we start at the beginning, we go right to the development section, and then there’s a big climax which is a gesture that is justified. The development section then goes on and reaches its climax to introduce the main cadenza. Then the cadenza introduces the recapitulation, and then we go straight to the end. That way we have straightforward motion instead of all these stops and starts and hiccups and gasps and gestures and pomposities, which are Tchaikovsky at his worst. This is all in the first movement. The last movement I think is a romp, so I did very little there. I eliminated perhaps fourteen or sixteen measures, and altered one key relationship which I thought was an improvement. That’s about what I did, and that’s why I call it a reconstruction. What else would you call it? It’s not a transcription; I didn’t rewrite it. It’s not like Pulcinella. I am reworking somebody else’s tunes in my own way, so I come up with this cumbersome reconstruction. That is as accurate a word as I can think of to describe it. BD: So it is more than just an edition? JF: Oh no, no, nothing like that. I did far more than edit. I actually composed new material, but I hope I’ve done it in such a way that you won’t realize it. BD: Are you happy with what you’ve done? BD: I am just wondering if you will continue to tamper with it a little bit. JF: The only thing I would tamper with would be miscalculations in the orchestration, and those things you really can never know in advance. My aim will be to try and make the orchestration more ‘Tchaikovskyan’, if possible, than I’ve done. I shall not tamper in any way with the form of the work. BD: So it’s not like what Rimsky would have done to a Mussorgsky piece? JF: No, I don’t think so. BD: You really tried to become Tchaikovsky? JF: Oh, he called me every night whilst I was working on it. [Both laugh] It must have been in the ether because I was just thinking about this. Do you remember Rosemary Brown? BD: Of course. She would take dictation from long-dead composers! JF: I wasn’t in touch with her, but it was few years later that she came along and was taking dictation from the shades of the various composers. BD: You didn’t feel you were taking dictation from Tchaikovsky? JF: No, I can’t say that, but I did feel as if I had entered into his Geist, his spirit, his method of operation. I do think it is possible to absorb another composer’s habits, and I hope that I have employed his best habits. BD: Would it be possible for you, or some other composer, now to write a fourth or fifth concerto in the style of Tchaikovsky the same way, and have it be something that he might have written? JF: I don’t know. I would be inclined to say no for one reason. I think that the one part of a composer’s gift, which is least imitate-able, is his melodic sense — if he’s been fortunate enough to be given one, and not many are. So for that reason I would be inclined to say no. I think Tchaikovsky had a unique melodic gift, and to conjure up his kind of tune is practically impossible. In the case of my reconstruction, I already had his tunes to go with, and I was manipulating them as he manipulated them. BD: So then basically you became a Tchaikovsky technician? JF: Exactly. That would be a good way to put it. BD: I hope it works! JF: I hope it works too, for any number of reasons. It would be nice to have another nineteenth century concerto into the repertory. I think that everyone has heard the Liszt and Schumann... not that these are not great works but they could do with a rest. BD: Is there any way to get the concert public to accept more new music instead of always the same old things over and over and over again? JF: I do not know. Exposure is perhaps the only avenue I can recommend without reservation. I’m not entirely sure that all composers are writing with the idea of satisfying themselves, their audience and their performers. As long as one of those three elements is missing, you’re in trouble. If you don’t care about your audience, the likelihood that you’re going to please them isn’t great. BD: Has your other piano music that you’ve written been influenced by Tchaikovsky, or influenced by this experience, or do you go off completely on your own to a completely different kind of style? JF: Well, I don’t think my style is anything like Tchaikovsky’s but I do think that I learned a great deal about writing music from doing that reconstruction because it was necessary to completely enter into as much as possible Tchaikovsky’s method of working. How would you characterize his style? What would you say about his big successful orchestral works? BD: They are very lush and very episodic! JF: Lush, episodic, all right fine. 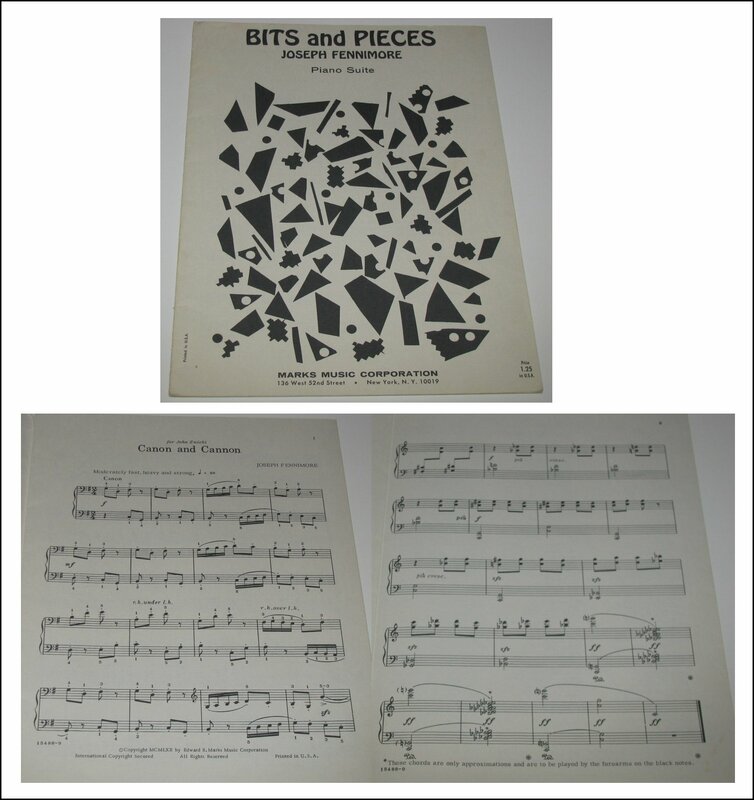 But do you find these pieces moving? JF: When they’re moving, why are they moving? That was the question I had to ask myself, and I had to find an answer that would do what I wanted this piece to do when it didn’t do it. BD: So obviously you did find an answer? JF: I found an answer, but if it’s the right answer remains to be seen! BD: So then you found a possibility? BD: Let me talk about some of your other piano works. How would you describe their style? JF: It’s very hard to describe. How would you describe your style? BD: Mostly what I write is non-fiction, so it should be factual. JF: Should be factual! But is it? JF: Well, there are lots of surprises. I don’t know how to describe my style. My enemies are good at describing my style! BD: Are you ever surprised at what you’ve written? JF: [Thinks a moment] First I’m delighted, and then I’m profoundly disappointed. Then much time has to pass, and occasionally I’m delighted again, and surprised, and wonder where it came from! BD: Has your style evolved over the years? JF: I don’t know. I know I’ve changed so I assume my music has changed. BD: Do you expect your music to last? JF: I don’t know! I have no idea what people unborn are going to need, want, like... I’m not that optimistic. I would like to write music that is enjoyed while I am living. If that’s possible, then there is a likelihood that it would be enjoyed when I’m dead. JF: I haven’t a clue. Where’s anything going? Are you asking me to get out my crystal ball? BD: Sure! Gaze into it momentarily! JF: What do I see? Lots of fashion! I suppose the media’s responsible for that. In order to get attention people have to have some sort of slogan or label. Everybody likes labels and they let them hang outside their clothes. Composers do that on the tops of their résumés. They’re either ‘neo’ or some kind of ‘ism’, but that hasn’t anything to do with what is really important. BD: So what’s on the top of your résumé? JF: I don’t have anything on the top of mine. I suppose what’s important is what has always been important — that the music satisfies some kind of need of the people who are hearing it. That’s all I can tell you, and I don’t know what they will need in the future. BD: Is writing music fun? JF: For me it is. For me it’s terrific! It is about the only time when I feel completely and utterly timeless, unaware of anything except the matter at hand. It is the ultimate high! All burners burning! Yes, too seldom! Too seldom I’m writing! As I get older I find it hard to unclutter my mind. I find other people’s problems pressing in, and even the concerns of my students pressing in. I have to empty all that out, and that’s hard. I have to work harder to be selfish enough to close out the world. It gets harder to do. BD: Is your ideal place to write in a closed-off room? JF: I frankly am not conscious of where I am when I’m really going. It doesn’t seem to much to matter. BD: Do you always have some musical motifs going on in your head, working on them? BD: Are you finding any? JF: Oh... [Sighs] Nothing but! BD: Then maybe you should get away from it all and let other people perform it. JF: That’s exactly what I’m trying to do. For the last few months I have been welcoming clutter — anything to take my mind off of this so I don’t hear any of this stuff. BD: Do performers find things in your music that even you didn’t know were there? JF: Oh yes, and that’s enjoyable! I’m happy to tell them that their way is often as good or better than mine. Good performers will always bring something more that you did not think of to the music. That’s why good performers or great performers are an absolute enrichment, a fertilizing of a composer’s recipe. They improve it with their own culinary skills. BD: But you don’t purposely leave something out to be filled in? JF: Never, never. There’s enough element of chance and chaos without that. I’m after precision, my own precision, and most performers are, too. They’re seeking their own precision, and even so there’s still a million ways to be precise. BD: Do you ever take suggestions from performers about alterations and things? JF: Constantly, especially instruments that I don’t play myself — which is most of them. BD: Let’s move onto the Chamber music. You’ve written a number of Chamber works. Are these on commission, or are they just things you feel you had to write? JF: Some have been commissioned and some have been pieces that I was challenged by the medium, or found the medium attractive and wanted to work in — the Sextet for Woodwind Quintet and Piano, for example. I like the idea of the instruments because I think woodwind and piano marry so well. BD: Did you get your idea from the Poulenc Sextet? JF: I did not! I never had heard the Poulenc until I had finished my piece. I like mine better than the Poulenc. [Smiles] That’s pretty cheeky to say because I do like the Poulenc a great deal. BD: Any other woodwind music? BD: Why that particular combination? JF: I’ve a grudge against violinists. I find them the prima donnas of the instrumental world, and hard to get along with. I think the violin technique ossified in 1880, and whatever you write that does not conform to that canon, then they will tell you it is unviolinistic. The only person who’s been able to break through that tableau is Bartók, and I don’t think he would have if it hadn’t been for Yehudi Menuhin. BD: So would you purposely write a concerto for some instrument and not put violins in the orchestra? JF: Well, I haven’t gotten that far because in the section when someone else is telling them what to do, they’re not so bad. [Both have a huge laugh] We are like enemies saying things like that! There are fine violinists, of course. I chose that combination with the clarinet instead of the violin because I wanted a dark color. The violin is a bright instrument. BD: The clarinet has a little deeper range too. JF: Yes, and it also requires some timbrel contrasts. BD: Do you ever write for strange instruments like contrabass clarinet or alto flute? JF: I would have to get to know the instrument intimately before I attempted to do so. I don’t think I’ve ever heard a contrabass clarinet. Can you give me a piece in which it is one of the group so I can conjure it up? I might remember it. BD: Not an orchestral piece. I sat next to one when I played in a band many years ago. JF: The alto flute I like very much. It’s a very voluptuous instrument. That would tempt me, but I just haven’t gotten around to it. BD: Do you ever call for unusual or uncharacteristic sounds — like tapping on the lid of the piano or stamping your foot? JF: Oh, heavens, yes! My Second Piano Concerto was written for a lady who was a tap dancer in her youth, and so there are two pages in which she taps! That would be uncharacteristic of that instrument, but I don’t have any raps or tapings, and I haven’t prepared a piano. I don’t see anything wrong with it though. I may yet! BD: There’s some interesting ideas floating around. I remember a saxophone quartet where everyone’s involved with the slapping of the keys. No air or sound going through, just the slapping of the keys. JF: Yes, it’s a good idea! Also those multiphonics that Lukas Foss exploited. There are ways that if you put the keys in the right combination, you are producing two pitches at once. I don’t think they’re too exact. BD: And if you over-blow on the reed you can get a squawky sound. JF: Yes, it gets very squawky, but it was very interesting. It went on too long but it was still fascinating to hear. BD: You’ve written music for voice? JF: Yes, quite a lot of songs. BD: Is it gratifying to write for the human voice? JF: Most gratifying. The problem is words. I’m so easily put off by one word in a poem that will keep me from setting the poem. I like so much poetry because of the thought and the feeling and the mood, and yet I could no more set infinite consanguinity than I could fly to the moon — even if I think it’s a terrific poem. I like simple poetry that has a simple, direct, emotional feeling. English verse tends to the metaphysical, the intellectual and the abstract, and that kind of poetry I do not find attractive for setting. I’m not into writing vocalises wherein the words are treated as nothing but syllables for the singer to make pitches on. It does disservice to the poetry, unless the poetry is bad. BD: What about writing something without a text or just in solfège? JF: This is fine. As a matter of fact I’m contemplating such a work. BD: Would you ever permit the song text to be translated for another audience? JF: I see no reason why not — if the translator is skilled and sensitive and knowledgeable about what is a gratifying syllable to sing, and given the range, then fine! It’s of course hard to find all those things. BD: That’s really an opera question. Songs tend not to get translated, but operas do. So tell me about your operas! You’ve written two little one-act operas? JF: Two little one-act operas, and I have an uncompleted full length work of which I’ve written only the first act, and shall probably never complete. JF: I didn’t like my dramaturgy. I was writing my own libretto, and I was not satisfied. I like the music and the libretto itself. The set pieces seem to be okay, but as a theater piece I found it was an abysmal failure. I can’t see it working. It was based on Isadora Duncan, who is one of my heroes. I thought it would be interesting to have an opera about a dancer. BD: Sort of an odd dichotomy, an odd paradox? BD: Will you salvage some of the music out of it? JF: Oh yes, the music is all salvageable if I ever have a reason to go back to it. I may finish it, but I think it unlikely. The one-acters are both on short stories of James Purdy from his collection The Color of Darkness. The one that will be done here at Ravinia is called Eventide, and that’s the title of his short story. The short story, I believe, has practically no dialogue, so I had to conjure it all up. The storyline shows two black sisters who have lost their sons — one in childbirth or shortly thereafter, and the other after he’s grown to the age of 18 or 19 and has disappeared from home. The former sister is sent by the latter sister to go and find out what happened to her grown son. She comes back, and in the course of this they manage to each have an aria and some recitative. The change that I’ve made — which Jimmy approved of — is that I have the son come back at the very end. Because of the smell of his cologne, and since it is at a time when a flower is giving off its scent, this causes the sister who lost her baby to have synaesthetic hallucination. She imagines that she is back at the wake of her baby, and she sees her baby at the same time that he comes in the door and has a confrontation with his mother. This provides a trio, so you have two things going on. You have a lady having an hallucination, and you have this confrontation between mother and son. That’s something only music can do. You can’t have people babbling at the same time on stage without pitches because you can’t understand what they’re saying! But with music you can, and if it works, it should be a good tear-jerker. BD: What is the running-time of this opera? JF: It’s only about eighteen or nineteen minutes at the most. BD: Should it be done with others works, or with another chamber opera, or in a concert? JF: I suppose it’d make a curtain raiser if it were done with a couple of other one-actors. This will not be staged; it will just be a concert reading. It doesn’t require complicated staging. It is very simple, one room, nothing changes. The only thing that happens is darkness. Night falls during the course of the action. BD: Do you like opera as an art-form? BD: Then why do you write them? JF: [Thinks a moment] I think I could write an opera I would like, that’s why! I like Eventide. BD: What don’t you like about opera in general? JF: It’s too long. Too much time is spent giving information. An opera should exist that moves from one feeling, one telling moment to another without having to give us blather of fact. BD: That doesn’t remove the sense of drama? JF: Which part — the blather of fact, or one telling moment after another? BD: Getting them all compressed would seem to remove the drama. JF: They’re not all compressed. There’s too many empty moments, even for my tastes which are very low in opera. For example, an opera that I like very much because I don’t feel it does that is Tosca. For me, Tosca goes right along from beginning to end. It doesn’t stop, and when it stops to rest it’s for a lyrical moment that fits in the context of the action. On the other hand, Wagner, who wrote some terrific music, goes on telling us what someone had already told us, that someone had already told us before that, and the music is so dreary. It’s the only word I can think of for it. BD: What about some of the early operas which are just tunes — Bellini, Donizetti, things like that? JF: I have much greater sympathy with this stuff than I do with the philosophizing of Mr. Wagner. I like good tunes, and I can get off on vocal acrobatics too! If you’ve got a real prima donna who knows how to be what it is she’s singing about, and at the same time she’s thrilling us with the athleticism, that’s a kind of heaven for me. BD: What’s next on the agenda for you? JF: Rest! [They both roar laughing] Rest, and probably, I hope, a pleasant summer. BD: Then back to teaching or back to writing, or back to both? JF: Yes, well certainly back to teaching. I can’t pay the rent without doing so. As for writing, that remains to be seen. I hope so! I can’t see any reason why not, but that doesn’t mean I won’t find one. BD: There’ve been some recordings of your music. JF: Yes, there are three records on Spectrum. BD: Are you the pianist, and are you pleased with the recordings? JF: I’m the pianist in one work only. I’m pleased with two of them. With the first one, I’m not pleased. The first record I went in as a complete novice, and so I took the advice of the so-called ‘experts’, and I found that the ‘experts’ really weren’t quite so expert! So I observed and watched. I decided there were some things that I didn’t like the way they were done, so on the other two records I did them differently, and I like them much better. I’d rather live with my own mistakes that with someone else’s. BD: Are you generally pleased with the performances of your music that you hear? JF: Generally I am. My music is too difficult for just anybody to take it up, so fortunately I usually have virtuosi that have been playing my music. I’m not pleased with one of the performances on one of the records because I don’t care how practiced the musicians are, it needs more than simply a three hour session for them to come in and read and record the work, which was the case. BD: You want them to live with your music for at least a few days? JF: Well, a few more hours at least! These people were trying to play accurately, play the right notes and play them in tune, and that’s not a very high aim. They hadn’t had time to decide what they wanted to do with the music. Mere accuracy is the lowest requirement. There was none of themselves in it. There was no time for it. JF: No heart, right. No affection, and without affection there is no understanding. So there was no understanding! It is not bad, but it could have been so much better. BD: As a composer, what do you feel is the good or bad impact of the proliferation of recordings on the public? JF: I don’t think there’s been so many people who have heard so much music ever before in history! For a while it has made new music take a real back seat, having got to know all the old music. But that is turning around now, and people are perhaps so filled with old music that maybe they’re starting to look for something they don’t know. But I don’t know that for sure. Anything that brings the musical riches of a thousand years to people is a good thing. BD: Do you feel you’re part of a line of composers? JF: Yes, I do indeed! At the risk of being immodest, there are composers born with superior musical gifts. That means a first-class ear, musical intelligence, and an ability to grasp many styles of music from the past, and I think I fit in that line! I can do those things. These are also people who don’t have truck with fashion. There’ve always been fashions in music, and they’re practically all lying unheard in libraries. BD: Is there some of this music that’s lying in libraries that should be dug out and re-heard? JF: I think all should be dug out and reheard. There’s enough time to do it, and if you can bring good sense to it, you might find merit in it. At the same time, you might find out why it stays there in the shelves! Certainly if it’s there to be dug out, and you’re a digger, go dig! If you can bring it out and let us hear it, so much the better. We’d be grateful. I would be grateful! BD: Tell me about your series on NPR. 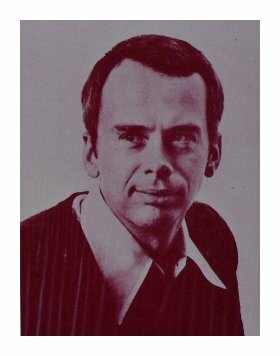 JF: In the ‘70s I ran an American music series in New York City. Some of the programs were interesting enough to the people in Washington at NPR that they to syndicate them nationally. BD: How did you select which music you would use, and which music you would not use? JF: New York City was a series of fractions, little cliques, and that was an appalling way to listen to a concert. You go to a concert and you hear five composers all writing the same kind of music. My idea was to do a series devoted entirely to American music. I felt there was wide enough spectrum to provide a program of interesting, various kinds of American music, and that is what we tried to do — have music from the right, the left and the middle! BD: No pejorative influence of one or the other? JF: Hopefully, not. So that is what we did, and that ran for ten years. I ran it for four, and then a couple of other people took it over and ran it for another six. JF: Of course it’s music! Certainly! There are all kinds of music. BD: Are there all kinds of ‘musics’? JF: ‘Musics’? Why not? That’s a nice word! I like odd usages, like ‘musics’, some better than others! I think that there’s great popular music. We’ve had, since the turn of the century, great popular music that’s come along, all trash and all great stuff! JF: Yes... Some people are kind enough to bring along the kind of music they want to listen to, and force everybody else who’s running on the rat treadmill to listen to it, too. This vexes me more than I can say. Or I’ll go on hold and that is a kind of public affront that should be outlawed. Music is a matter of choice, or should be a matter of choice. BD: What’s the role of the critic? JF: Oh, many roles and responsibilities. First of all, he’s under obligation to report what has occurred and, if possible, to do so without adjectives! [Both laugh] If he can describe this accurately, he’d be performing a great service. Very few people can. As far as giving instructions for performers, there are not many critics able or qualified to do so. They can give one person’s opinion, but of course they’re writing for an audience. There’s tremendous power writing for so many other people, and their authority has usually outstripped their acumen. BD: You really think they do have power? BD: The scandals of payola and plugola are pretty much behind us, but there’s still a lot of arm-twisting and pushing around. Fortunately I don’t have to get involved in that. Being in classical, I don’t have to worry about it, and at our station the program director plays a wide range of things. Only rarely do we bump heads about what should or should not be played. JF: The wider the spectrum, the better! Everything gains by contrast. BD: Then how do we sort out what is good and what is not good? JF: This a moral question. Do you mean how do you decide what you want to hear again? You don’t know what you want to hear again? Or is it that you want someone to tell you what you want to hear again is good? I don’t mean you specifically, I mean ‘one’. The question, I think, is flawed. Do you need someone to tell you what you like? If you don’t, the other is not important, unless you’re in the paying-machine business, as I call it. BD: Then we’re back to the critics again. JF: Right! Audiences should have the nerve to support what they like and to boo what they don’t like. Apathy is the worst. BD: You mean you’d rather be booed than just be politely accepted? JF: Absolutely! I want a strong reaction. I don’t care if it’s good or bad, but it should be a strong reaction. BD: Don’t you want to be loved? JF: Everybody wants to be loved, but is hate the other side of the coin? I’d rather be hated than ignored! [Both laugh] I’m not too helpful, am I? I can’t give a straight answer because I don’t think in straight lines! Thought bounces back and forth. Thoughts are born that way. BD: Where do you get musical ideas? JF: I don’t know. If I knew that, oh boy! BD: Are they just suddenly there? JF: Sometimes. Sometimes tunes come! BD: Are they also just suddenly not there? JF: Ho, ho, all too often! If I knew where to get them, that would make me very happy because then I know I could sit down at any time when I needed to do something and produce it, but I can’t do that. I’ve tried the routine number and that does not work for me. I can sit down every day and produce so many measures of music, and most of it goes in the trash basket. BD: Do you set a goal that you must accomplish so much? JF: No, I gave all that up. BD: Do you ever miss a deadline? JF: Yep! Better to miss a deadline than sell yourself short. The best thing is not to accept deadlines. BD: Just accept the commission and say it’ll be ready when it’s ready? JF: If you can do that. BD: I would think that would be very difficult to negotiate. JF: It is difficult to negotiate, but I don’t have that many commissions to work on. BD: Would you like to have more commissions? JF: I think the best thing to do is to have the music first, then try to sell it and produce it miraculously in short order. That’s the best way to do it. BD: Maybe tinker with it and tailor it for the situation? JF: That, or simply try and sell what you’ve already finished. Does it really matter if it’s already been completed? Who would know, unless a performer has specific requirements. JF: Well, thank you so much for coming in and listening to me prattle! This conversation was recorded in Chicago at the beginning of July, 1986. Portions were broadcast on WNIB the following year, and again in 1990, 1995 and 2000. A portion was also used as part of the in-flight entertainment package aboard United Airlines in March of 1988. [That package was also carried aboard Air Force One, the Presidental Airliner] This transcription was made in 2015, and posted on this website at that time. My thanks to British soprano Una Barry for her help in preparing this website presentation.